The old adage of “you have to spend money to make money” doesn’t need to be true anymore. 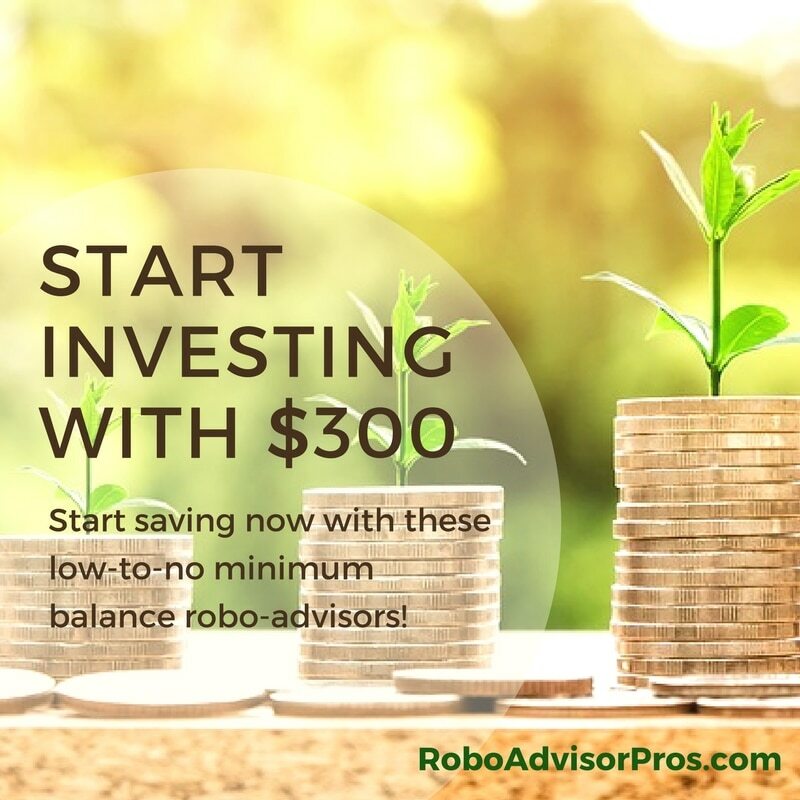 With the help of low-cost robo-advisors, it is now easier than ever before to invest with little money and get started investing with $300 or less! Robo-advisors are often praised for offering no or low minimum balances on investments. If that wasn’t enough, they also usually charge a lot less money in management fees than traditional financial advisors. Both these benefits make robo-advisors extremely appealing to those who want to get started investing and learn the ropes without investing too much. 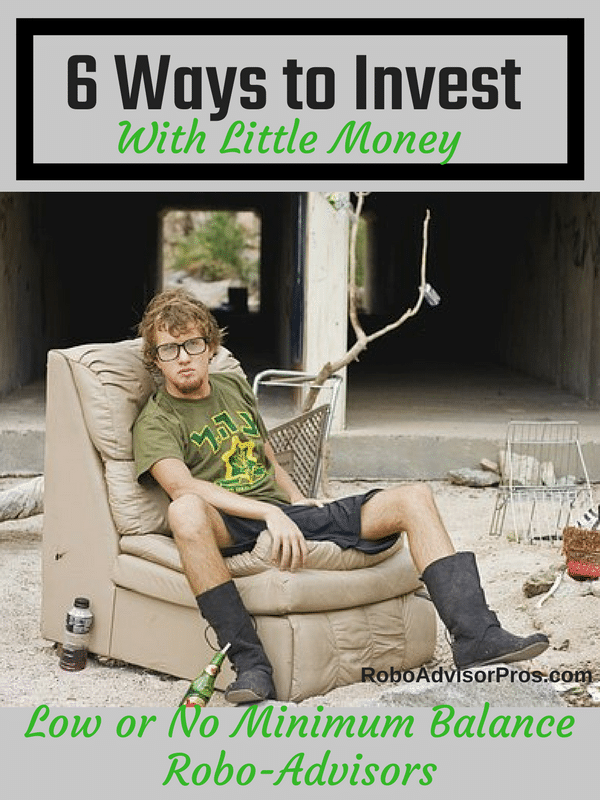 So How Should I Start Investing With Little Money? Any of the six financial options to invest with little money listed below can help you get started on the right path, regardless as to whether your goals are to secure a happy retirement for you and your spouse, pay for a child’s college tuition, or buy a new set of wheels. • If I choose a robo-advisor with no asset management fees, what features might I need to give up (if any)? As you will see, each of the investment tools highlighted below have a different benefit. Some come with no fees, while others charge minimal fees for additional services. The option that fits you best is the one that reflects your budget and aligns most closely with your investment goals and preferences. 1. M1 Finance is one of the most creative automated financial platforms online. And M1 Finance is completely free. You can get started investing with M1 Finance with just $100. Investors can choose from pre-made investment groups or portfolios based upon risk tolerance, similar to comparable robo-advisors. Or, you can create your own investment portfolio, in the percentage allocations that you prefer, and choose from over 6,000 stocks or ETFs traded on the NYSE, NASDAQ + BATS exchanges. If you want more help with your investing you can choose from pre-made portfolios from many categories including; retirement, socially conscious, income, select industries, general investing and more. Once you have your investments set up, M1 Finance manages them for you and rebalances back to your preferred allocation when you add money to the account. It’s really easy to invest with a click and there are never any management or trading fees. With M1 Finance you get versatile investment choices with no fees. If you can’t wait to get started, go directly to the M1 Finance website. For more detailed information, read our M1 Finance review. That “better” aspect is shown through goals-based investing, similar to WiseBanyan, and low fees. Investors will pay the low management fee of only 0.25% for accounts up to $2 million, and no fees for accounts over that amount. Betterment offers anyone a free investment review – customer or not. And all Betterment investors have texting access to financial advisors. 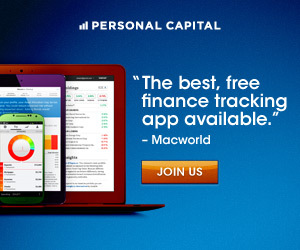 There is also a premium version of Betterment that includes unlimited access to human Certified Financial Planners by phone or video chat, which is a huge selling point for investors who feel they would benefit from personalized, human guidance. Visit our deep dive Betterment Review to get all of the details about this feature-rich robo-advisor. 3. Wealthsimple has access to financial advisors for all investors. Wealthsimple has no minimum balance requirement and offers free asset management for up to $15,000 if you sign up through Robo-Advisor Pros—otherwise, accounts with assets up to $5,000 are free. Over those amounts, Wealthsimple charges 0.50% for accounts valued up to $100,000, or 0.40% for accounts over $100,000. Don’t forget that Wealthsimple provides access to a financial planner for all customers, even those still in the no-management-fees plan! Just like with Betterment, this financial advisor access can help investors who want to talk out their financial goals with a human instead of with an algorithm. Wealthsimple also offers specialized socially responsible investing choices and Halal portfolios for Islamic investors too. Read our review if you think Wealthsimple might be for you? 4. WiseBanyan has both app-based and website investing, for free. 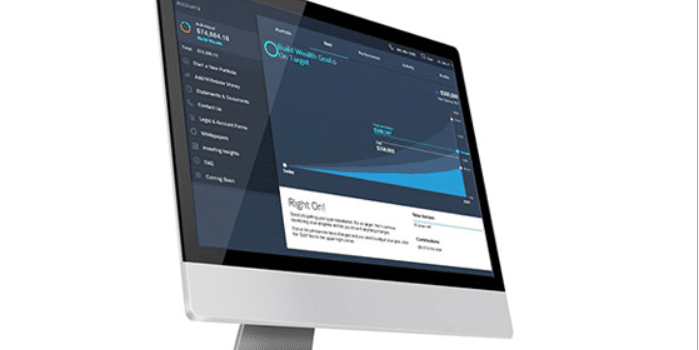 This robo-advisor has a minimum balance of $1 and charges no account management fees. There are optional fees for investors using the Tax Protection Package, or Portfolio Plus with additional investments from which to choose, but many of the features offered through WiseBanyan are free. This is big news for investors who are conscious of excess expenses. WiseBanyan offers customizable goals and asks users to select these goals from the beginning of the sign-up process. These include “rainy day” funds to cover unexpected expenses, retirement, and even new car funds. Since your risk tolerance and investment amounts may be different for each of these goals, it’s important to know what you are aiming for before you start pouring money into any investment fund. After all is said and done, WiseBanyan creates a diverse portfolio based on your goals, risk tolerance, and time until your goals need to be reached. Learn about the many benefits our Wisebanyan 2018 review. 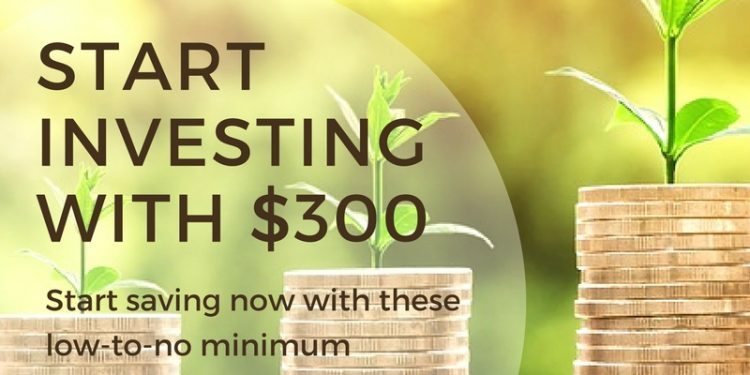 If you want to get started investing with $300 (or less! ), the best place to look is your phone. There are two apps worth noting today: Acorns and Stash. They both charge the same fees: $1 each month for accounts under $5,000, or 0.25% for accounts over $5,000. 5. The beauty of Acorns is its simplicity. You can make substantial progress with your investments even with pennies on the dollar. Once you set it up, the app automatically rounds up your purchases and saves the difference for you. For example, if you spent $1.75 on your morning coffee, Acorns would round your purchase up to $2.00 even and move a quarter into your investment savings account. Once your savings hits $5, Acorns invests the money. Acorns does allow for some customization, including how much you round up. If you want to round up to the nearest $5, you can do that! Drawing on our $1.75 coffee example again, that would mean that Acorns takes $3.25 for your investment account. Direct contributions are also allowed, which means that investors can amp up their investments when they have extra cash available. There is another substantial benefit to Acorns: college students with a valid .edu email address can get free use of the app for up to four years. Does Acorns sound like the investing app for you? Check out our Acorns review. 6. Stash aims to eliminate (or at least limit) financial jargon that makes investing seem out of reach for the everyday person. They do this by naming their portfolios simply: the Techie, for instance, focuses on investments in—you guessed it—technology fields. Other portfolios, such as the Activist or Trendsetter, also help investors make financial choices that earn them money and support the things they value. Stash offers 40 such portfolios, so you are bound to find something that resonates with you. Five dollars will get you started with Stash, and from there setting up automatic investments is easy. Just let the app know how frequently and what amount you want to invest, and they handle the rest. If you can only afford to invest $300 this year, setting up weekly investments of $5.75 will bring you to $299 by the end of the 52-week period. Like Acorns, Stash also has a promotion: your first three months with the app are free. Wrap up – You Have Options to Invest With Little Money! There is no reason to wait until you have a few thousand dollars saved up for investing. You can start investing with $300 or much less with any of these six robo-advisors. As always, you should research any investment option thoroughly to ensure that the features work for your needs. Investment growth is never guaranteed, but most of these robo-advisors come with asset rebalancing to keep your investments diversified, your losses minimal, and your growth prosperous. Disclosures: Please note that this article may contain affiliate links which means that – at zero cost to you – I might earn a commission if you sign up or buy through the affiliate link. That said, I never recommend anything I don’t believe is valuable.